Coral Bay beach sees its best days in over 10 Years. Good news out of Peyia Municipality regarding the condition of its main attraction, namely the golden sands of Coral Bay. Nikos Konikkos, President of Cultural Development, Tourism and Beaches Committee and Peyia Councilor, reported that the beaches are in excellent condition and are predicted to get even better as summer tides washed more sand ashore. Coral Bay beach suffered some bad publicity last year when it was widely reported that the sand had been washed away by winter storms. As it transpired only 58,000 Euro worth of additional sand was required to replenish the beach. Currently Coral Bay beaches are in superb condition attracting families from all over the world. 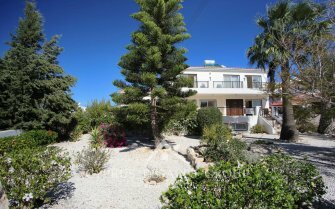 Our portfolio of quality properties offers an excellent Villa in Coral Bay that has been heavily reduced from over 600,000 to just 450,000 Euro. Within easy walk of both beaches it is in the very best part of Coral Bay, only 100 meters from the Leptos Estates leasehold area. Our freehold villa is only 5 years old and comes with full title deeds! This beautiful property also guarantees a high rental yield on your investment of up to 8%. Certainly a much safer investment, than keeping you money in the bank!